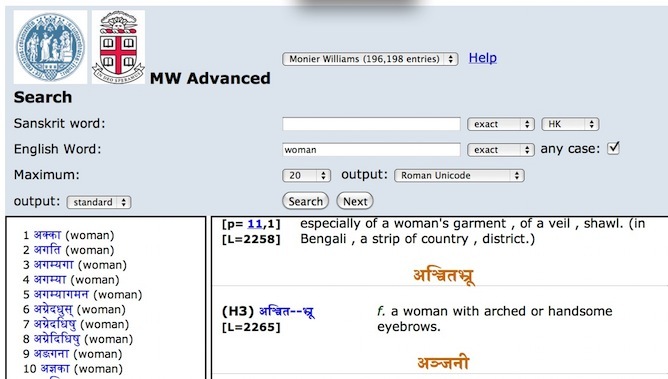 The Monier-Williams Sanskrit-English Dictionary can be found online in several places. University of Cologne (Koln) - link. This is the 2008 revision of the searchable digitized edition. 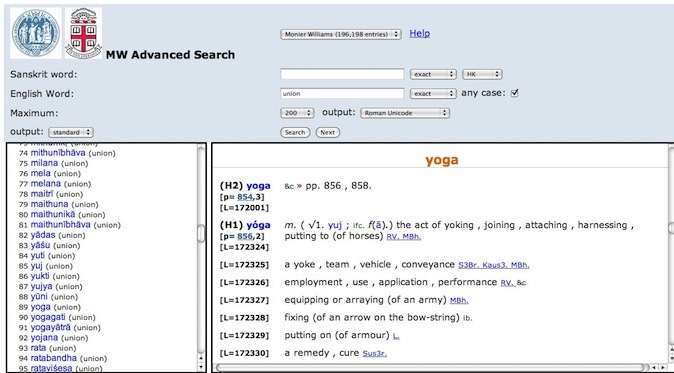 This – Cologne Digital Sanskrit Dictionaries – is an access page to a dozen different ways of accessing Sanskrit dictionaries. University of Washington - link. Koln also provides a link to scanned images of the pages of the dictionary. Link. Here is the advanced search. It defaults to Denagari Unicode. You may find it more useful to specifiy Roman Unicode, which will give you English. 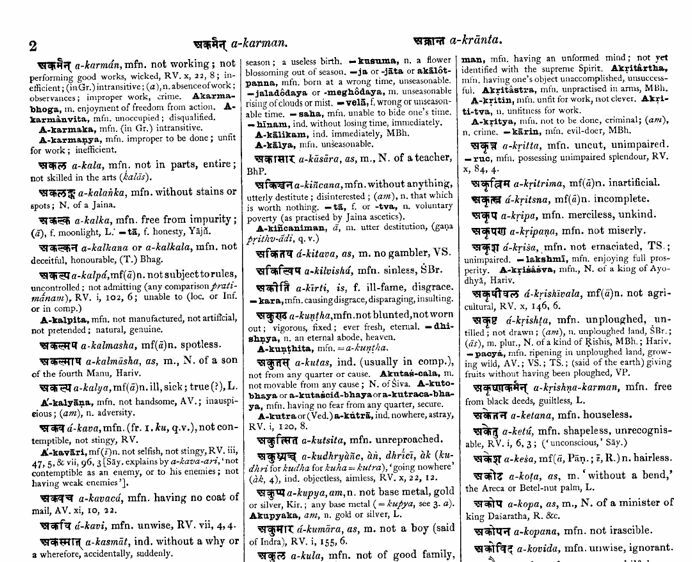 Another useful dictionary that goes both ways is the Spoken Sanskrit dictionary. You can enter an English word and get Sanskrit words, or vice versa. The University of Cologne has a list of digitized and scanned dictionaries here. A Sanskrit scholar has put up a page of links to various Sanskrit resources here. Wikipedia has many articles on Sanskrit. Apte’s The Practical Sanskrit-English Dictionary is online here. Lexilogos has a good list of Sanskrit resources here.